Whether you like a bit of razzmatazz ringmading and want everyone to look at your balls or you just can't see your balls so well anymore, you're in the right place. No, this isn't the urologists office! But I have become a bit of a multi-color golf ball fiend. It wasn't always like that though - I mean we're supposed to be pros here, right? And watching golf on TV, besides Bubba Watson playing a pink ball for a while, we never see the pros playing high visibility golf balls. I was always intrigued by those yellow balls I watched the members of my club playing on the course but always thought they were for older boys. Which color ball is the easiest to track? What's the difference between high visibility and white golf balls? 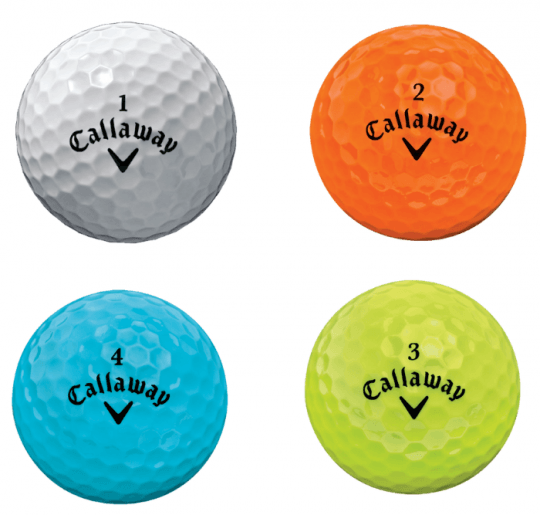 The only difference between a high visibility golf ball and a white ball of the same model is the color of the cover. The rest of the construction of the same model of golf ball is identical. Can high visibility golf balls improve my score? Yes and no. The color of the ball won't make a difference to the way you hit the ball so physically no. But psychologically, the fun aspect and the ability to see your ball more easily through the air does give you a small confidence boost. When you know you're going to find your golf ball because you saw exactly where it landed and can walk directly to that spot, you feel confident to grip it and rip it. The lack of confidence inhibits your swing. So maybe the extra confidence could help? Let us know. 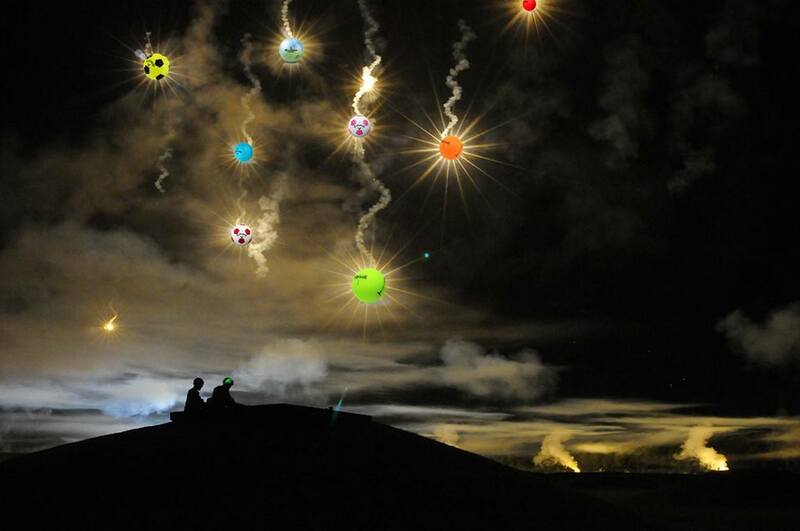 Volvik Vivid balls come in REALLY bright colors and are a favorite with guys looking for more visibility because it's impossible to miss them in the air. If you have deep rough at your course, you'll be able to track this beauty effortlessly and lose far less balls. And when I say really bright, I mean that you might think they'll glow in the dark. The cover has a matte finish which adds to the uniqueness of the ball. Playing partners wondered if it was a practice ball or a rubber ball. 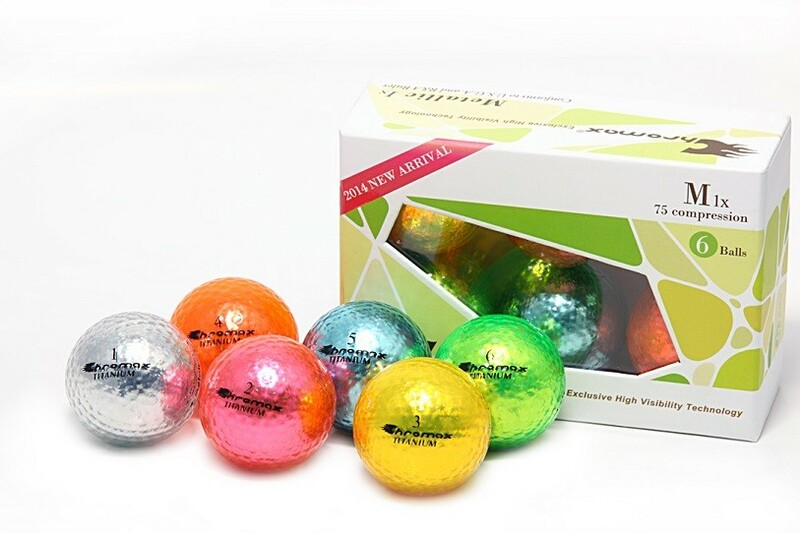 It's a perfectly conforming three-piece ball and made of the identical material as other golf balls, just without the high gloss finish on it. Yes. They're straight with a middle of the range medium feel off the club & high ball flight. A lot of guys will pick this ball up for a laugh, as I did through a corporate golf day. But the laughing stops once you hit it. The weirdest (but best) thing I noticed with them is when I hit a shot, at the point I expect the ball to start descending back to the ground, the ball just keeps going that extra few yards in the air. I played these balls in a corporate day and I've used them often since then because they're long and straight and turn heads every time you break one out. I've hit my longest drives with this ball and it's no surprise Volvik is the sponsor for the long drive championships. I recently actually won a scramble using these balls while my partner used NXT Tour, my other new favorite golf ball. The Chrome Soft puts the focus on the "best golf ball" part of the 'best golf ball for high visibility'. Visibility is just a big bonus. This four-piece ball has taken the world by storm. They come in bright yellow but also the Truvis design which is pretty much a soccer ball print all over the ball. Callaway's Chrome Soft is a Tour level premium ball that competes toe to toe with the heavyweights like Titleist. The benefits to the average golfer beat out the Pro V1 due to low compression and a urethane cover giving you excellent distance off the tee with soft feel and a lot of spin green side. All swing speeds will benefit from this golf ball and ​it stands up to high-end tour models chip for chip, pitch for pitch and putt for putt. Approaches into greens fly high and land and stick with strong spin. Do they look like a Christmas tree ornament? Yes. Do they look like C3P0's balls? Yes. But these things are completely impossible to lose on the golf course unless you hit it in the drink. And it's gonna make your round a lot more fun! Are they replacements for Pro V1? Definitely not, as it is a 75 compression two-piece golf ball. If I were to compare how it played, I would say similar to a Srixon Z Star or Volvik Crystal. They'll give you straight drives that maintain the same distances as the current ball you're gaming. Bump & run chips are a blast watching them jump and roll, glistening up to the hole. Putting is where they feel a bit too firm with that clicky sound of a hard golf ball. Other than that, these perform well enough and for purely tracking your shot, these are the best high visibility golf balls. The Srixon Tour Yellow golf ball is very bright and will be easy to see. Even the Pure White color balls are easier to spot than other white golf balls. Srixon produced an awesome premium level ball that performs as good as the top manufacturers' premium balls and makes it one of the best high visibility golf balls. With a compression of 88, and a Spin Skin cover, this ball performs as a premium ball should. If you swing less than 90 mph, you'll want to check out the Srixon Q-Star. On a recent trip to South Africa, a free sleeve of Tour Yellow Z Stars was included as part of the green fee. On the two week trip, I never lost a single one even in the deep rough because I could track them to an almost exact location for searching. Distance-wise they were as long as any golf balls I've hit. They stuck to the greens and for the first time in a long time, I finally got the ball to zip a few yards back on the Bent grass. The feeling was firmer on the club face but it was very cold on the course. The firm feeling gave good feedback on my insert putter face. Chipping was identical to using Pro V1. Overall, Srixon produced great balls in the Z Star and Z Star XV and they perform off the tee as well as they do on the greens. The SuperSoft Multicolor pack comes with four sleeves of balls each one a different color. Much easier on your wallet than premium balls on this list, they pack mega bang for your buck. The SuperSoft is not a very soft ball but will help most golfers increase their distances off the tee and from the fairway. It's a two-piece ball with a very low compression of 35! 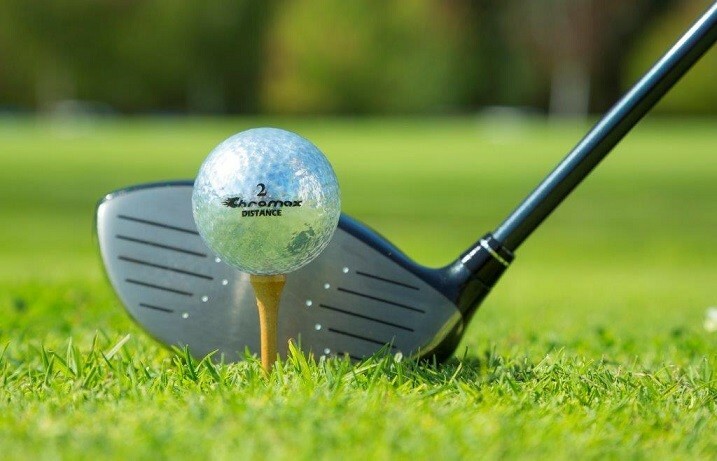 For the slower swinging golfers, this ball is going to reduce spin on the tee shots and long approaches while giving you a delicate feel around the greens. The SuperSoft is one of the most popular balls you'll find. The lower compression and trionomer cover produces less spin on your longer shots giving you more chance to hit the fairways and greens. That always makes golf more fun. If you're a mid to high handicapper, this is a perfect golf ball for you. The Volvik Vivids definitely take the cake for the best visibility and funkiest color availability as well as performance. But overall, disregarding the color aspect, the best overall ball would definitely be the Chrome Soft. I believe Callaway has added a couple matte ball colors (including my favorite, RED) in the Supersoft line, for 2019.